The 2017 Chinese Silver Panda Coin weights 30 grams and is made of .999 fine silver. For this year a mintage of 10,000,000 coins has been set. 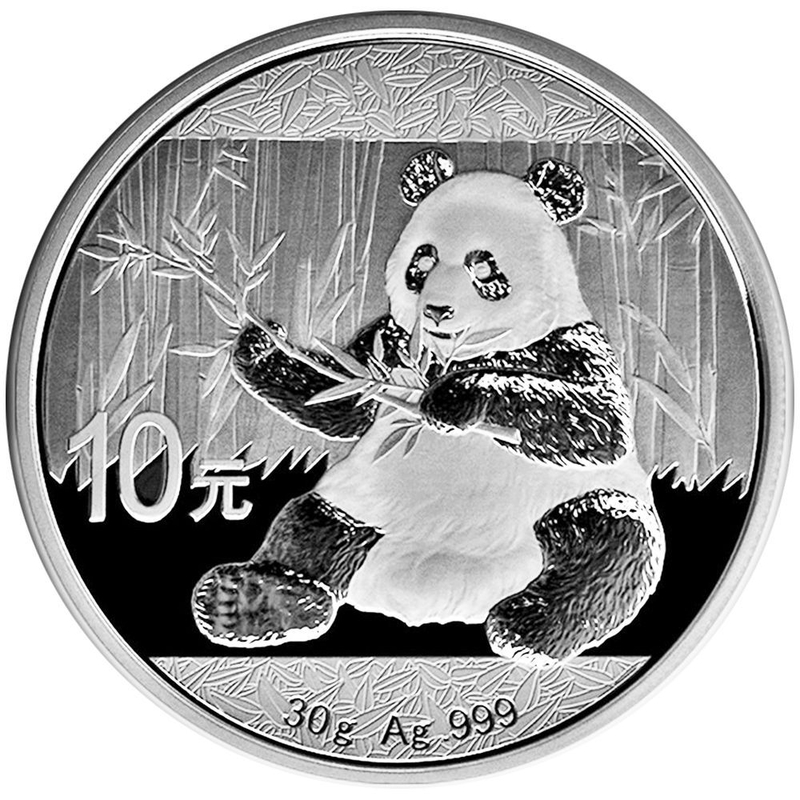 The obverse depicts a panda sitting down while eating bamboo. 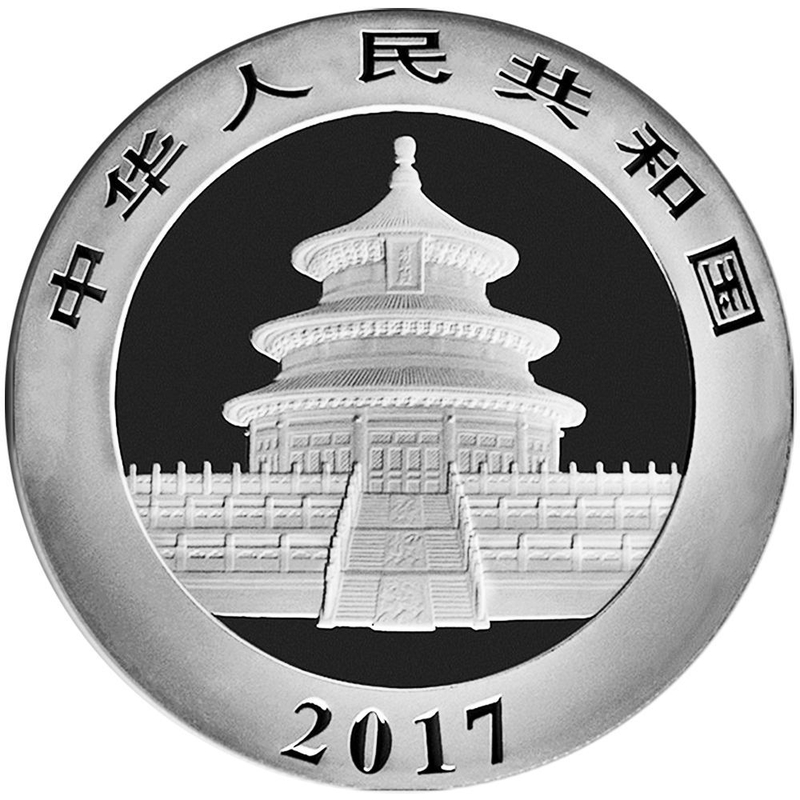 The reverse depicts the Temple of Heaven in Beijing. If purchased individually your panda will come in the original capsule and a 2 1/2 x 2 1/2 plastic flip for protection. If purchased in quantities of 15 they will come in their original racks.